Advanced - Turning Off the A- Layer "Bounce"
In a mag+ InDesign layout, the A - Main Tower layer is a vertically scrolling layer of content. 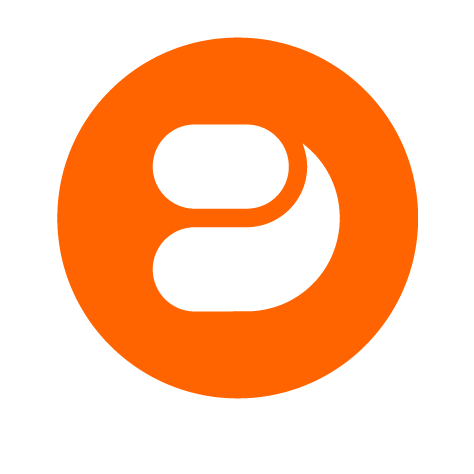 The default behavior is that when the user reaches the end of the A- layer, you can pull the layer beyond the bottom and it will "bounce" back into place. You can modify a setting in the exported vertical.xml file which will disable the "bounce". 1. Export your InDesign layout and find the vertical.xml file. 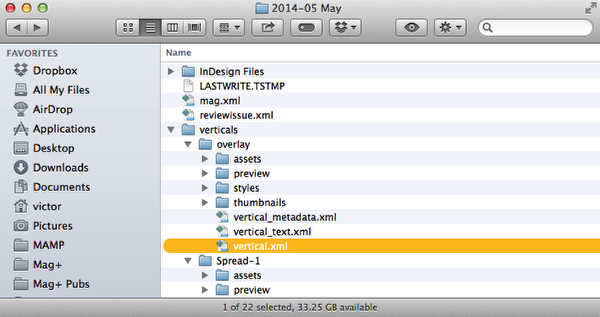 InDesign layouts are exported as Verticals that are stored in an Export Folder you specify. 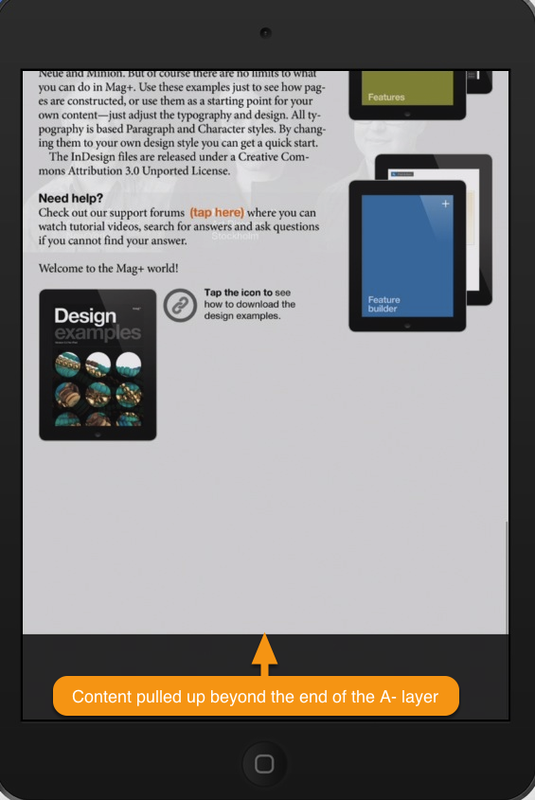 The Export Folder setting is shown in the Mag+ Vertical panel of an open InDesign layout. The Export Folder will have a subfolder called Verticals with additional subfolders named after your InDesign layouts. Within these folders is a file called vertical.xml. 2. Edit the vertical.xml file in a text editor. At the top of vertical.xml, you will see a line that starts with "<vertical" and contains a number of parameters. 3. Save the vertical.xml file and review the document in the Mag+ Production Tool. Note: You cannot review the Vertical from within InDesign. You must review it from the Mag+ Production Tool. Also, if you make changes to the original InDesign layout and export it, you will overwrite the changes you made to vertical.xml and have to make the changes again. 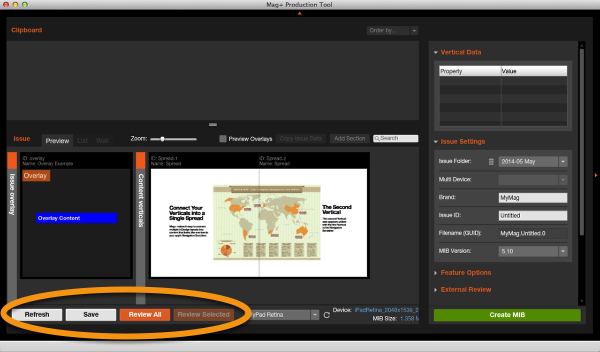 The Mag+ Production Tool allows you to review selected Verticals or an entire Issue. If you edit vertical.xml while the Vertical is open in the Mag+ Production Tool, the Refresh button will reload the content of the vertical.xml file.